Schools everywhere have had a solid start now and if your household is anything like ours, you have already been inundated approached about school fundraisers. I make no bones about my disdain annoyance distaste for having to sell stuff. Not even my own stuff all garage sale style. It's not that I'm afraid of people saying no. Nor is it that I am too lazy to do the legwork. Mainly, I just don't want to push more stuff on people that they don't need or use. Yes magazine subscriptions, comically large buckets of cookie dough, and wrapping paper, I'm talking about you. Why can't fundraisers be convenient and for stuff I use and buy anyway like toilet paper or vinegar?! There you go school, you would make a mint off of me if you just sold vinegar for a fundraiser! Well actually, I was contacted not too long ago by a company who just so happens to run a practical fundraising opportunity. A fundraiser for something I buy and use all the time - pasta! How could I turn down an opportunity to sample various pastas in order to promote their business? The answer is, I couldn't. In fact, after they contacted me, I immediately emailed our PTA's President to tell her about Fun Pasta Fundraising. I may have thrown in that I would actually sell this product unlike raffle tickets, water bottles, etc. The Pasta Shoppe/Fun Pasta Fundraising is a business based in Tennessee that specializes in novelty pastas. They must have skimped on quality in order to make cutesy shapes. Nope. The pasta is cute in the bag but as soon as you cook it, it gets gloopy and falls apart. Nuh-uh. Wasn't the pasta smashed to bits after being shipped through the mail? No ma'am. They have holiday themed pasta, collegiate themed pasta, specialty pastas for cat lovers (pictured above) or baby showers, and even gluten free pasta. We have liked every single product that we have tried from The Pasta Shoppe. 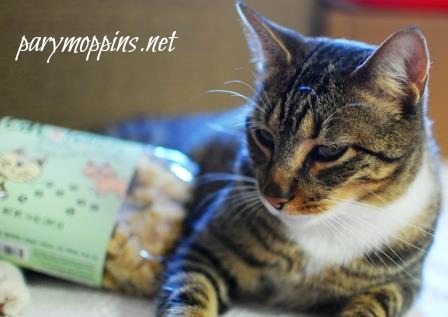 From the Wintertime Chili and Chicken Noodle Soup mixes (both I chose to make meatless and they were still very tasty) to the Cat Lovers' Pasta, we have been very impressed by the quality and taste of their products...and their recipes! We fancy ourselves mac n' cheese enthusiasts and I have to say, their mac & cheese recipe that came on the package was really very good. The shaped pasta was perfect for mac n' cheese since it gave the dish more texture as opposed to standard macaroni that often gets too soggy. My only wish was that the spice mixes were outside the bag with the pasta just because that would make it easier to dump the pasta in the water without having to first fiddle with the flavor packet. As for convenience, you don't have to physically approach your target audience because Fun Pasta Fundraising has an online fundraising presence. So your Aunt in Topeka and your Grandad in Mobile can't escape can be a part of your fundraising efforts too this time. There you have it, a perfectly practical fundraising opportunity and you get to support a Southern company to boot! Practical fundraisers work for me this is part of SITS. *I was sent free samples to facilitate my review. Delicious food, cat with attitude, and all opinions are my own. Thanks Fun Pasta Fundraising! Wow, how do you pick a favorite!!!!! The "dog lovers pasta" is absolutely adorable, oooh - and the "eat your heart out pasta" BUT.....How cool is the "happy birthday pasta"??? Talk about a special birthday dinner! so I believe that it won me over as a favorite! Love the collegiate pastas! Roll Tide! I'd get Happy Birthday Pasta for my hubby's upcoming birthday! 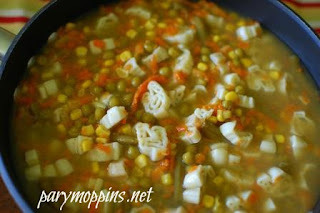 I think the Halloween pasta is my favorite, but there are several others I would love to try. The happy birthday pasta is fun! I like the Florida Gators pasta! I like the Black Cat Pasta. kristiedonelson(at)gmail(dot)com Thank you. I love the zoo animals pasta and the happy birthday pasta. I love the Penguin Party and the Halloween pasta! I'm going to talk to the director at my son's daycare about this fundraising idea. Much better than hoagies! 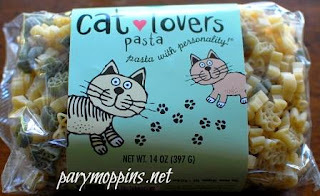 we are cat lovers i love the cat pasta! Soooo many to choose from. 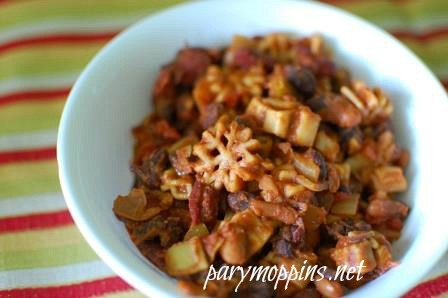 It's awesome - had to pin for future selections - for now I'll go with the Fall Harvest Pasta. Yum. I like the eat your heart pasta.. They are all so cute was hard to pick. My kids would love the Penguin Party Pasta! Very cute! The Cheesy Pasta sounds good.